Pescanova was created from an innovation: the on-board freezing technology. Since then, not a day goes by without thinking about how we can improve all our processes, making them more competitive and sustainable and, more importantly, developing new technologies, production methods and products. Borrowing concepts from the meat industry in terms of cold preservation, Pescanova invented in 1961 the on-board freezing technology, used for the first time on the vessel “Lemos”. It was the world’s first transoceanic freezer vessel. A technological revolution that made it possible to start fishing in the rich and remote fishing grounds of the Southern Hemisphere, deep-freezing the catch on board for its correct preservation and thus radically changing the global fishing industry. In 1963 we built the first stern trawler of the Spanish shipbuilding industry, able to fish over the stern rather than over the side, the “Villalba”, which was a major step forward to increase our fishing capacity. 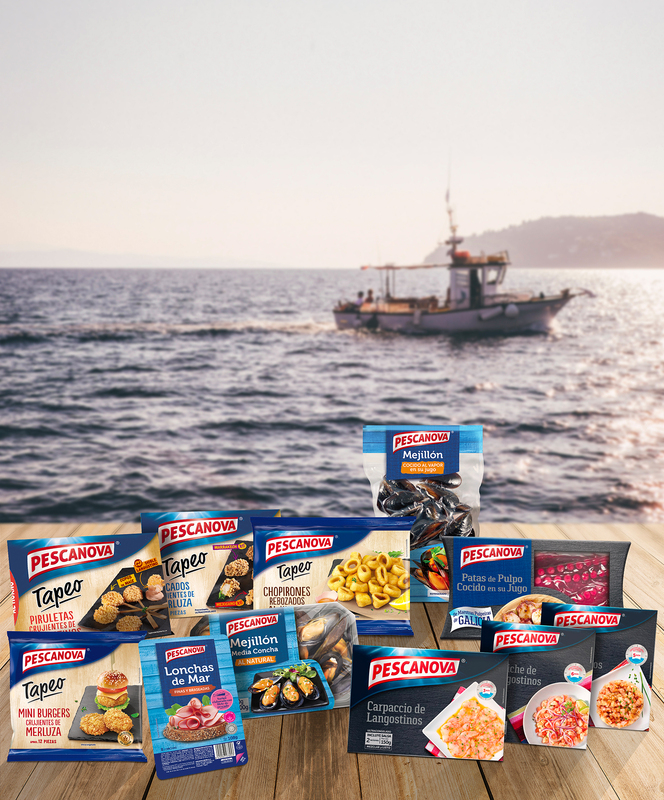 Many other innovations followed, placing Pescanova at the forefront of the global fishing industry. We have not stopped innovating in aquaculture since we became involved in this field back in the 80s to increase our productivity while ensuring the rationalization of marine resources. From the implementation of new aquaculture techniques in the shrimp farms of Ecuador, Guatemala and Nicaragua; the tilapia farms of Brazil and the turbot farms of Spain to the spearhead of research, development and innovation in the Nueva Pescanova Group: the Pescanova BioMarine Center. The Pescanova BioMarine Center is an Aquaculture research, development and innovation center which is currently being built in O Grove (Spain) and will be a turning point for the study of aquaculture in our country, through new research techniques on genetics, nutrition, health, sustainability and new farmed species. With this research, we will not only be able to improve the farming of species such as turbot or vannamei shrimp, but we will also make progress in the techniques that will allow us to use aquaculture with new species. The facilities will have 4,000 m2 equipped with the latest technology, which will make it the first private center of its kind in Spain and one of the three most important in Europe. We were pioneers in the introduction of deep-frozen fish in several countries, creating a new category that quickly became part of the consumption habits of millions of consumers. Since then, we have continued to launch products that offer all the freshness of the sea with new and suggestive ideas. We have an Innovation Committee, working on the analysis of market needs and new consumer trends. We have recently got into the chilled food market with products like Dippeo de Langostinos, boiled octopus in its juice or the Ethnic products range, among others, and we have also adapted to the new “home snacking” trends with our Tapeo range.